The itel Mobiles, owned by Chinese mobile manufacturer Transsion Holdings has announced a new entrant in its 'Wish' series with the 4G VoLTE and ViLTE equipped iTel Wish A21 smartphone at Rs 5,390, in India. As per the CEO Sudhir Kumar, the company is committed to its long term vision of 'making high-speed digital connectivity a tangible reality for all Indians' and will also strive to provide best-in-class products in value for money propositions with unmatched specifications to its customers. 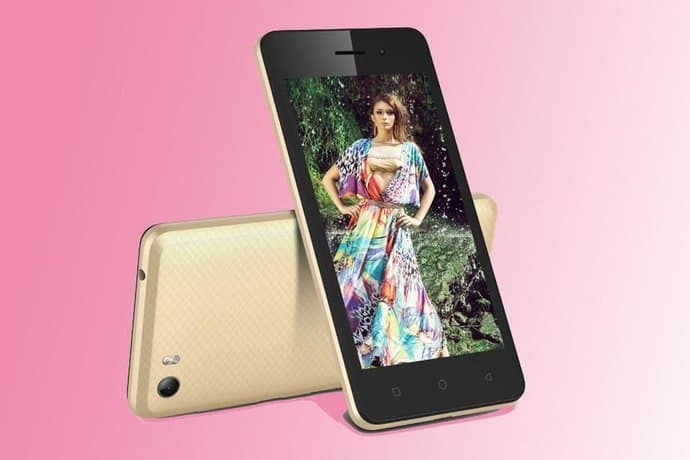 The iTel Wish A21 measures 136 x 67.3 x 10.4 mm and features a 4.5-inch FWVGA (480x854 pixels) TFT display, offering a pixel density of 218ppi. The processing duties are handled by the 1.3 GHz Quad Core CPU and Mali-400 MP2 graphics processor, paired with 1GB of RAM and 8GB of internal storage with room for further expansion by up to 32GB using a microSD card. On the photography front, the iTel Wish A21 gets a 5.0-megapixel Auto Focus rear camera with LED flash and 2.0-megapixel front camera for selfies. There are standard modes like face detection and beauty mode bundled with the camera interface for an enhanced photography experience. 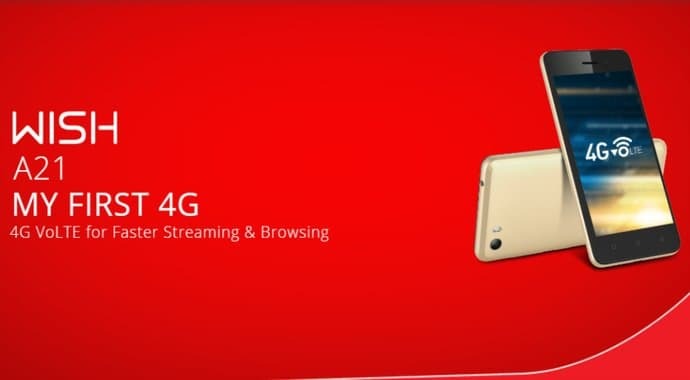 For connectivity, the iTel Wish A21 offers 4G VoLTE and ViLTE(Video over LTE-enabled) with dual-SIM and dual standby support, Wi-Fi, Bluetooth 4.0 and GPS. Apart from that, the smartphone comes preinstalled with Xender app for easy file sharing. The entire package is backed by a 2000mAh removable battery which the company claims will deliver a standby time of up to 182 hours and talk time of up to 8 hours on a 4G network. The iTel Wish A21 runs Android 6.0 Marshmallow out of the box and will allow its user to maintain dual social media accounts like dual WhatsApp account, dual Instagram or dual Facebook accounts from the same smartphone. The handset will be available in gray, champagne, and coffee color options with a textured back in a product package which will include a charger, data cable, hands-free set, 3-layer screen film and a protective back cover.